Two Chicks On Books: Blog Tour- FIRE IN THE WOODS by Jennifer M. Eaton and a Giveaway! 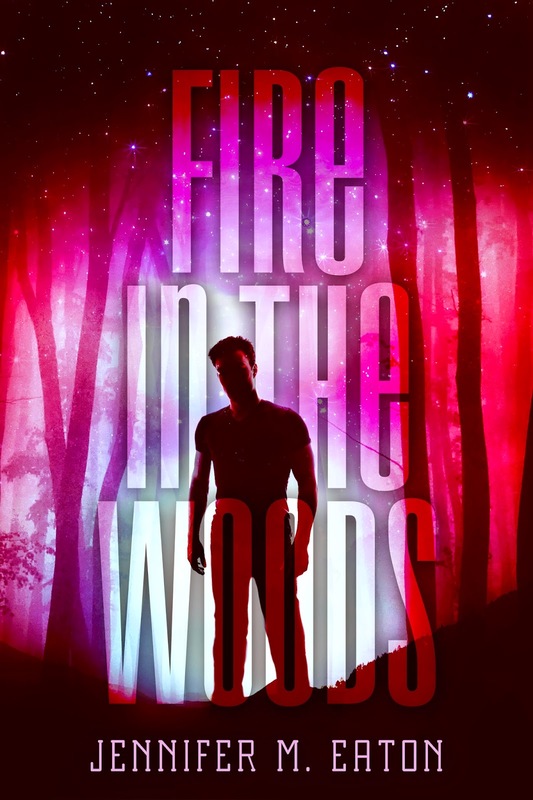 Blog Tour- FIRE IN THE WOODS by Jennifer M. Eaton and a Giveaway! Hey y'all! I think you all know by now Sci-Fi is a favorite genre of mine and I love a good Alien book or TV series. Hello Lux series by Jennifer L. Armentrout, Alienated by Melissa Landers, Roswell, Starcrossed and The Host! And Jennifer M. Eaton's FIRE IN THE WOODS is up there in my favorites you all are going to love David!! So I asked Jennifer for a deleted scene from the book and she was happy to oblige! Ooh and keep reading there's an awesome giveaway at the end! Haven't heard of FIRE IN THE WOODS? Check it out! Now on to the scene! FIRE IN THE WOODS is written in first person from Jess’s point of view, so it doesn’t surprise me that people would be interested in what David was thinking at different points in the story. Here is one scene that came to mind: The scene where Jess kisses David. Just what would you think if someone kissed you, if you had no idea what a kiss was? “We could have died yesterday. You know that, don’t you?” Her shaking hands and the desperation in her voice cut a hole through my heart. I pushed down a shiver, the last of the morning chill. “Now that it’s getting warmer, yes, we are.” The sincerity in my words didn’t make it any more true. Not to me, anyway. She was right. We could have died last night. This was all my fault, and she shouldn’t have been involved. She shifted her weight. It was more than that. I wasn’t good enough for her. No matter what she’d done to bring us here, she didn’t really care about me. Maybe she wasn’t even capable of it. But it felt like she did, and it was killing me inside. I glanced up, and her eyes seemed to look through me, sorting out my inadequacies and lining them up, just like every other girl I’d known. But she stepped closer, placing her fingers on my chest. Closeness, contact—things I wasn’t used to, at least with a girl. Her eyes bore through me, deeper, searching. What was she looking for? She licked her lips, leaving a glisten behind that reminded me of the sparkle of the moons outside the purple planet in the system we passed through with three suns. Beautiful. I tensed as she leaned toward me. Confusing, humans. They value closeness, touch, when there is no chance she could… Her mouth covered mine, and my breath hitched. A strange sensation, the touch of another’s lips. Was this… normal? She moved away, a touch of uncertainty tainting her eyes. “Why’d you do that?” I asked. Tears flowed from her eyes. She covered her face with her hands. “I kissed you, and you, you …” She began sobbing again. understand, but if this is what she wanted, I’d do it. I owed her that much, no matter how odd it seemed. She laughed, but for some reason, I didn’t think that was a good thing. I shook my head. Of course I was. That’s what I did. I screwed things up. Always. That was why I was stuck alone on this planet. Little did she know. She must be younger than I thought. She ran her fingers through my hair, and a sweet smile crossed her angelic, human face. She moved closer. My instincts screamed to move away, but I couldn’t. I didn’t really want to. “You’d be too if you spent most of your night shaking in a frozen dementia.” I smiled and rubbed my cheek gently against hers. Would she understand what this meant? I forced down a childlike giggle. She actually wanted to be close to me. How was this possible? I firmed up my lips and pressed them against hers. Jess held back a laugh, I was sure of it. What did I expect? She licked her lips and eased closer. My lips brushed against hers, and she gently closed her mouth over mine. For a brief second, I forgot who I was, and who she was, and released the part of me I should have concealed. Something about her, the touch, the way she felt, it was like nothing I’d ever experienced. My lips parted, and she slid her tongue between them. The slight chill was nearly maddening, a sensation so wrong, yet so fulfilling, so right. I slid my hands behind her back and drew her closer. She didn’t push me away. Instead, she slid her palms under my sweatshirt and trailed her fingers down my back. A chill ran up my spine beneath her touch. I drank it in and feared it at the same time. She was cold. Human. Wrong, but so right at the same time. Everything about this embrace was strange, but it still took every ounce of my willpower to pull away. I looked down, struggling for a breath that wouldn’t come. “Was that okay?” she asked. 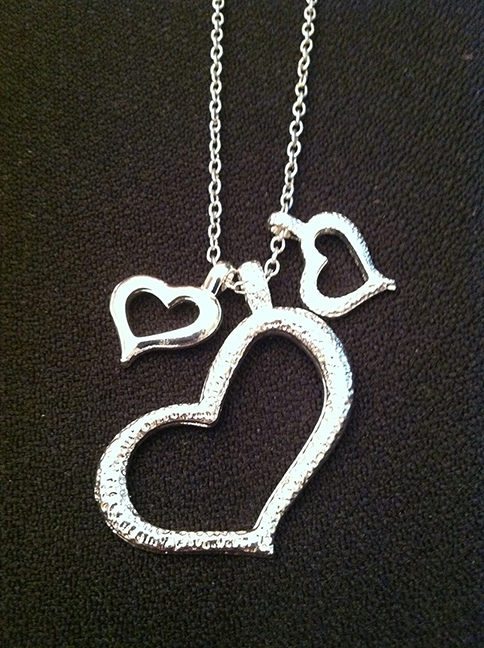 Thanks for stopping by Jennifer I loved this!!!! Jennifer M. Eaton is a contemporary blender of Science Fiction, Dystopian, and Romance. Her work ranges from the sweet contemporary romances of PAPER WISHES, to the high-paced science fiction adventures of FIRE IN THE WOODS and ASHES IN THE SKY. Go over to Chapter by Chapter to see the rest of the schedule and read more awesome posts from Jennifer! This book sounds so much like Starman and I was a big fan of this TV series back in the 80's. Looking forward to reading the book and always looking for similarity. Thanks for having me. It was so fun showing David's point if view! Great excerpt and the book sounds so interesting! I loved the excerpt. The description of the kiss was so wonderful. Thank you for sharing. Looks like an interesting book - look forward to reading it! If you like a fun quirky protagonist, hot alien boy, and sweet romance I recommend this for you! It's an extremely fast paced thriller that has you reading on the edge of your seat the entire time. I wouldn't be surprised if you didn't read it all in one sitting!